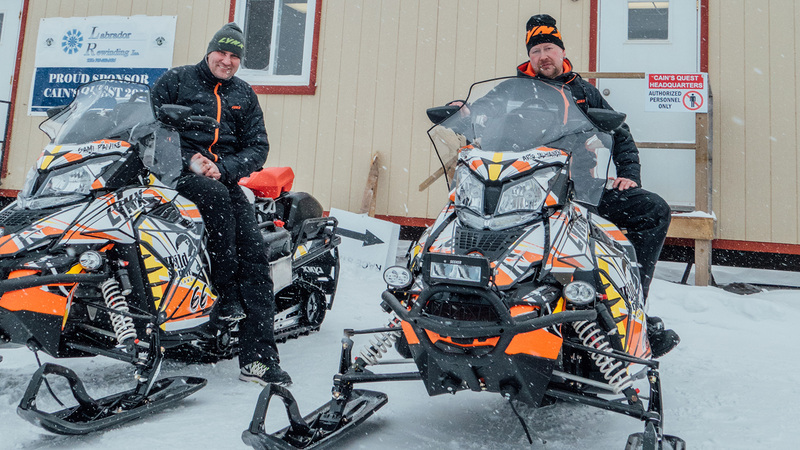 Beating Extreme Conditions with Lynx Snowmobiles – Again. BRP Finland is the manufacturer of the legendary Lynx snowmobiles. It is in the brand’s core to push the limits and challenge the status quo of the entire industry by putting the sleds to ultimate tests in the most challenging conditions and environments. 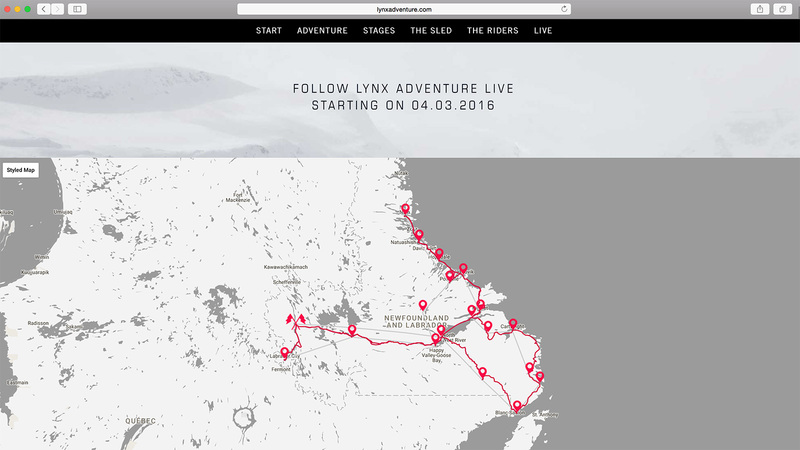 Lynx Adventure - Cain’s Quest was the sequel to the previous adventure, where two riders completed the route from Rovaniemi to Mehamn on the Arctic ocean. To beat extreme conditions was the starting point also in this time, as we executed the concept created for Lynx snowmobiles by us. The assignment was to continue the original concept and develop it even further with the goals of increasing brand awareness by reaching Lynx’s core audience and snowmobile enthusiasts around the world. It was equally important to communicate the product’s features and overall reliability of Lynx sleds. 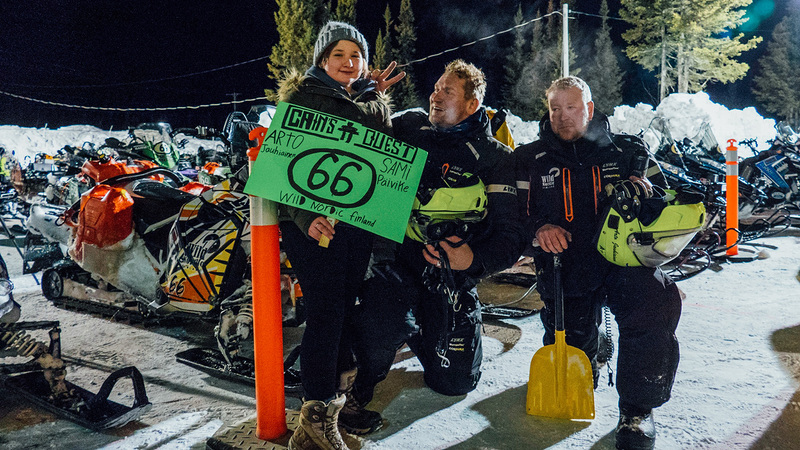 Together with Lynx Snowmobiles we decided to take part in the world’s longest snowmobile endurance race called Cain’s Quest, which is annually held in Labrador, Canada. What was so special about it this time? 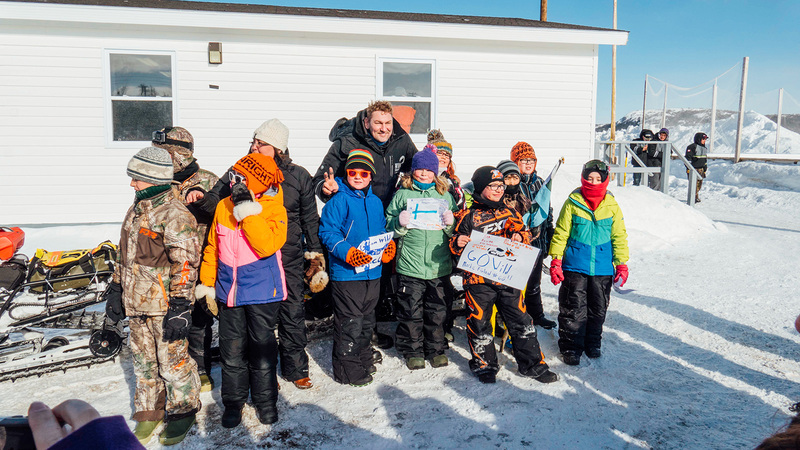 The Lynx Adventure team was the first team to participate from outside North America - this way we could gain the locals’ interest and give them something new to talk about. The first stage was to introduce the team, and how the two riders prepare for the huge challenge. Besides the people, we also created product related films in order to build anticipation towards the moment of truth. 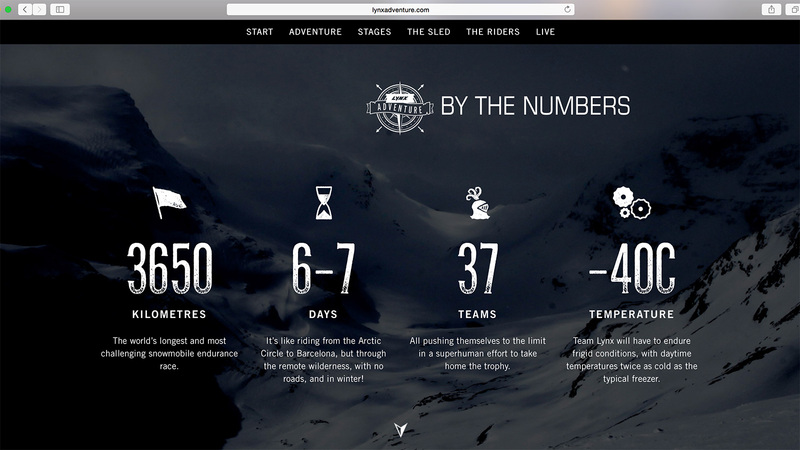 All pieces of content were published on the www.lynxadventure.com page, where also all of the traffic from Lynx’s channels and communications were directed. The page acted as the main interface in getting to know the challenge, the team and the products. 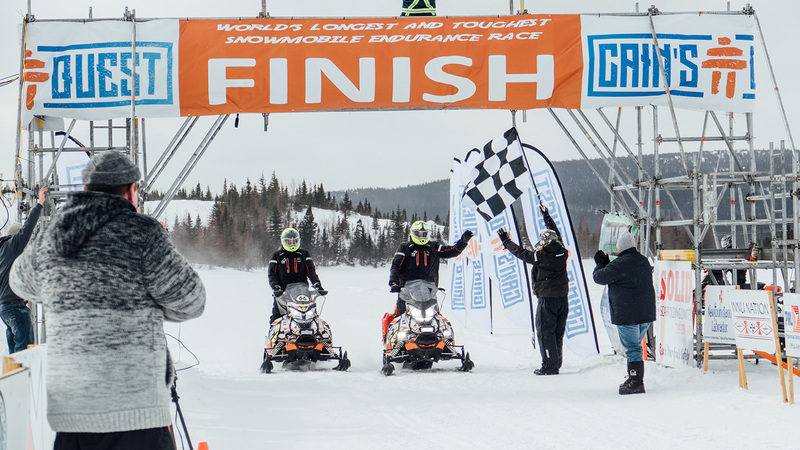 As the endurance race started in Canada, we had installed GPS trackers to each sled. Their coordinates were updated live on the map, which was integrated into the website. The team was fortunate to have at least a little reception, and Instagram and Facebook posts followed and were used to drive traffic to the site. To tell the entire story, we scripted and produced a 14-minute documentary about the race aimed at the core audience. Lynx’s follower base, traffic to and time spent on their website saw a major growth and the pieces of content got far over a million impressions during the endurance race, which is a magnificent number considering the size of the core audience. 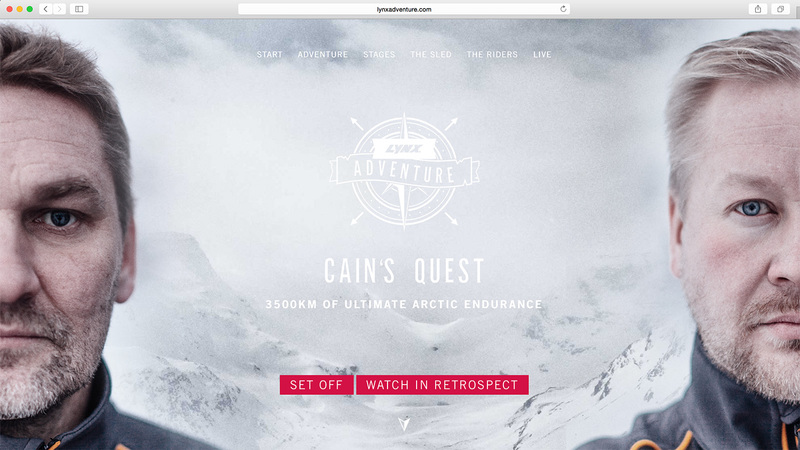 Lynx Adventure - Cain’s Quest proved prior, during and after the campaign, that the product truly is built to beat extreme conditions.